CHEF TALK: Braising is a technique that is easy to do and one that you can use in many different ways. 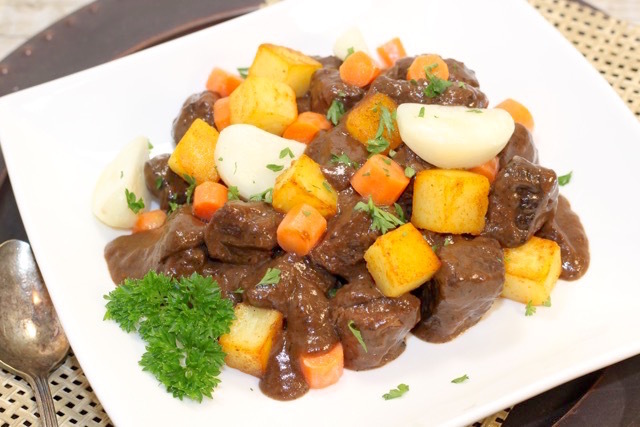 Try this Classic Braised Beef Stew recipe – you will be amazed by the rich flavour that braising provides. 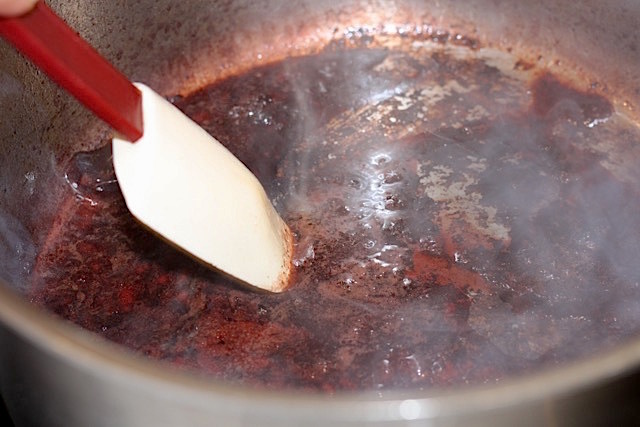 Use a good dry red wine to deglaze the pan, such as Cabernet Sauvignon or Syrah. 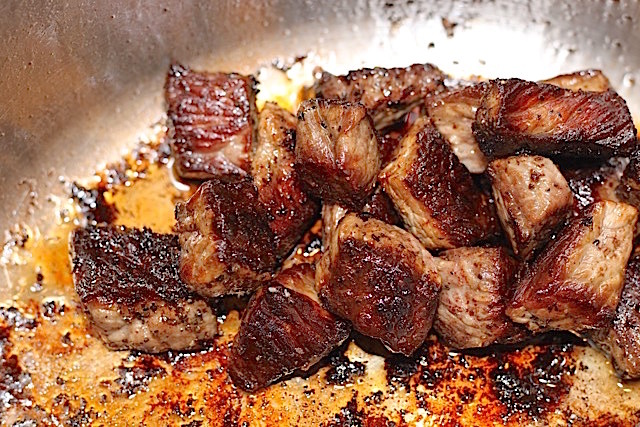 Pour yourself a glass while you are caramelizing the beef cubes. Enjoy the process! I generally cook the vegetables separately by steaming them and then adding them to the finished stew. 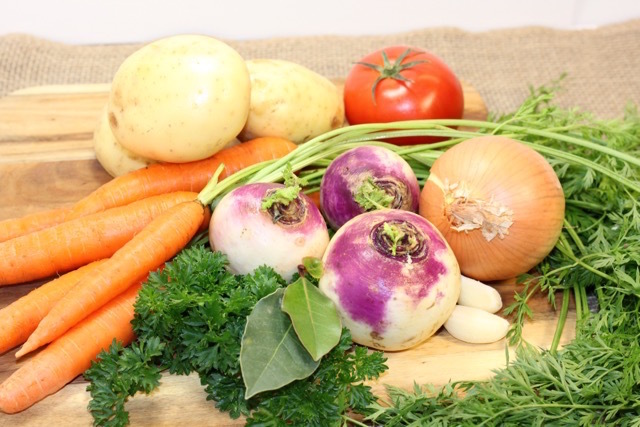 I like the pure look of the colourful vegetables adorning the top of the rich stew. You can also cook the vegetables in the stew by placing them into the pot in the last 40 minutes to one hour before the end of the cooking process. The vegetables will be delicious either way. In a large Dutch Oven, place the bacon lardons and cook over medium heat until browned and crisp. Remove from the pot and drain the bacon fat. You will start to brown the meat in this same pot – no need to clean first as the bacon flavour is essential. Add the oil and half of the butter. 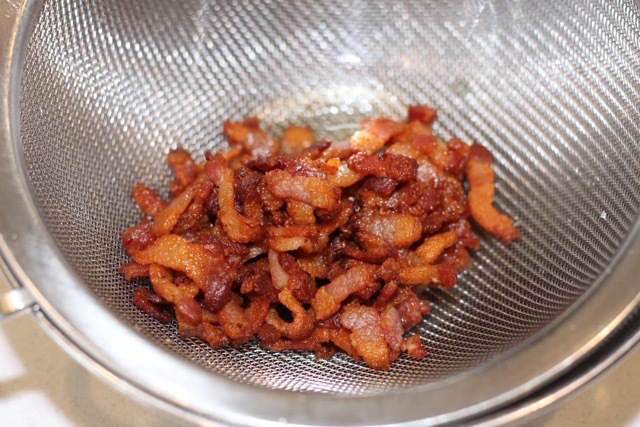 CHEF TIP: Adding a small amount of water to the pot with the bacon lardons will render the fat from the bacon more quickly, and as it evaporates, it will start the crisping process of the bacon lardons. Prepare the Beef: Pat the pieces dry with a paper towel. Season the beef with salt and pepper. CHEF TIP: Drying the meat before seasoning is important because it will allow the caramelization of the meat to occur more effectively. The meat will steam if they are placed too close together or if there is too much moisture left on the meat. 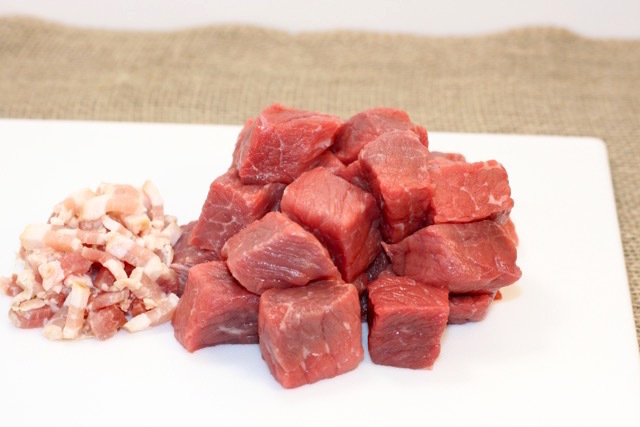 Brown the cubes of beef in a single layer in batches, ensuring that the beef is browned well on all sides. CHEF TIP: This part of the braising process is very important, so take the time the beef requires to caramelize. 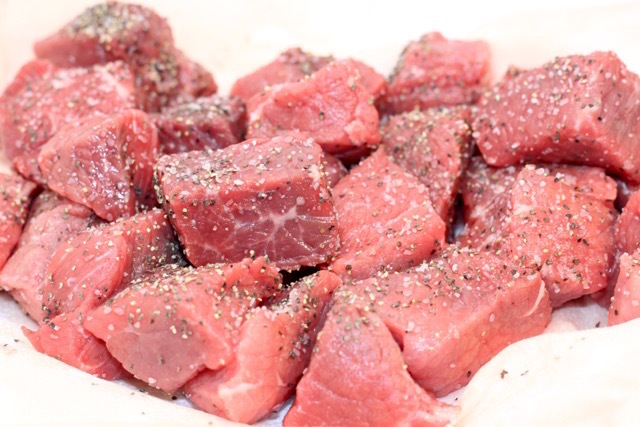 Once the meat is browned, set it aside in a bowl or plate while you brown the remaining meat in batches. Melt a bit more butter in the saucepan and sauté the onion until tender and golden. Add the minced garlic. Cook for a further 30 seconds, ensuring not to burn the garlic. Stir in the flour and continue cooking over medium heat until the flour is cooked out – about 3 minutes. Deglaze the pan with the red wine. Use a heatproof spatula to scrape up all the browned bits (the culinary term is ‘the fond’) on the bottom of the pan. Return the meat to the pan and add the beef stock, bay leaf and herbs. 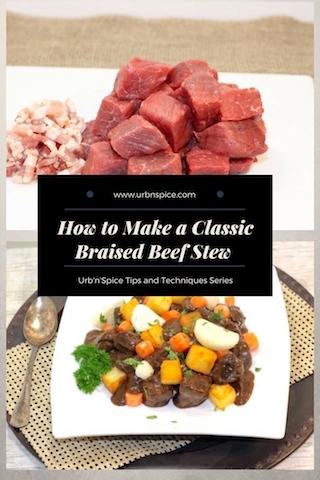 Cook the stew using any of the following methods: Simmer, on top of the stove until the beef is tender (about one and one-half hours); or in the oven at 320°F for 2 – 1/2 to 3 hours or in the slow cooker on Low Setting for 8 hours or 5 hours on High. Once the beef is tender, remove the cooked beef to a platter and keep the meat warm. 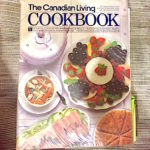 Remove the bay leaves and sprigs of herbs, if you have utilized. Reduction: There might be quite a bit of braising liquid left in the cooking container (Dutch Oven, crockpot, etc), depending on which method you used for cooking. 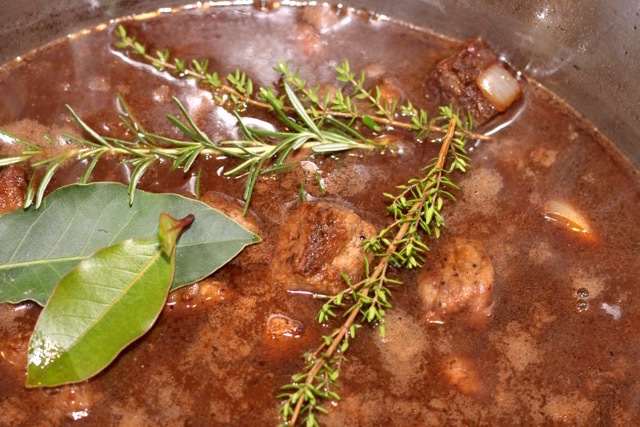 The remaining braising liquid can be reduced to thicken and concentrate flavours. Check seasonings and adjust to taste, if necessary (see Tweaking in Learning Tips). CHEF TIP: In the restaurant environment, this braising liquid is strained so that the remaining sauce is velvety smooth. 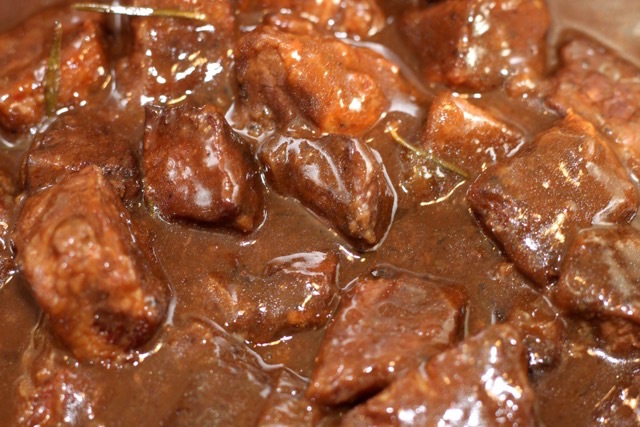 To Serve: Combine the meat with the braising liquid and gently coat the meat. Distribute the cooked vegetables around and on top of the stew. Garnish with parsley and crisp bacon lardons and enjoy! Peel the vegetables and prepare as indicated above. Steam the vegetables until tender. 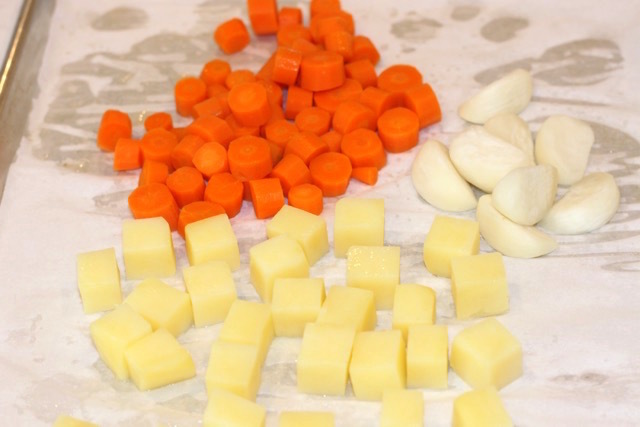 Steam the smaller dice vegetables separately. Distribute them around the stew and stir through. CHEF TALK Discussion: The photograph shown was for a catering event. 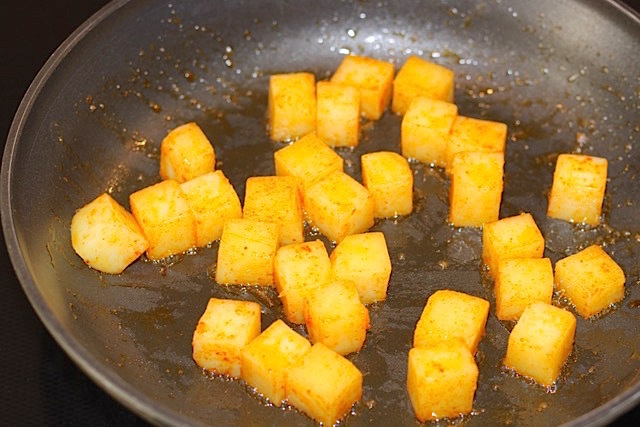 For added flavour and presentation, I tossed the steamed potatoes in paprika and lightly sautéed them for colour. 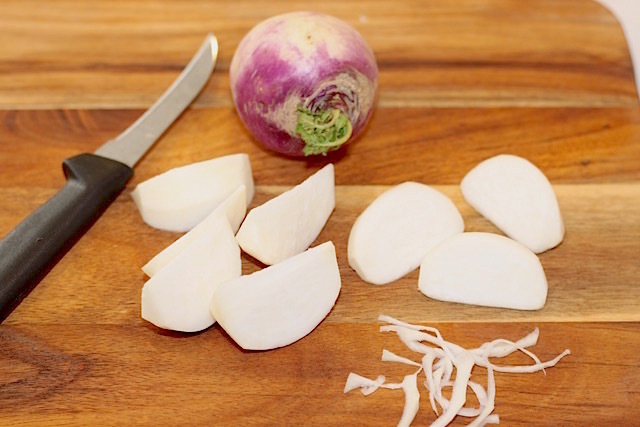 The turned turnip was kept very plain for presentation – it is a beautiful brilliant white vegetable when steamed. The remaining vegetables are tossed in Beurre Monte (emulsified melted salted butter). That is all that is required for these beautiful vegetables. CHEF TECHNIQUE TIP: Beurre Monte is a simple butter sauce made by placing a few tablespoons of water in a frying pan to boil. Turn off the heat. 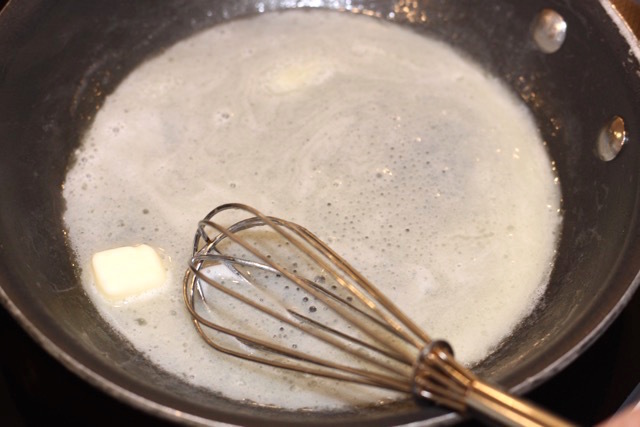 Whisk in small chunks of butter in, one at a time, until the butter starts to emulsify (thicken). 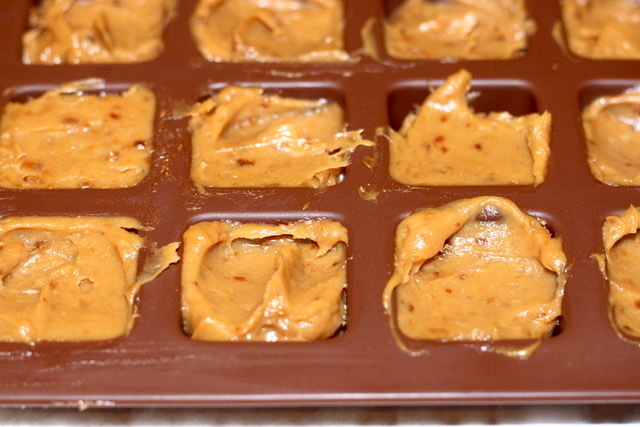 You can start adding a few more pieces of butter at a time until the sauce starts to slightly thicken. Keep the butter sauce warm at a very low heat or it will separate. Toss the vegetables in the sauce and serve with a sprinkle of salt and a grind of freshly ground pepper. Bacon Lardons and Cubed Stewing Beef. 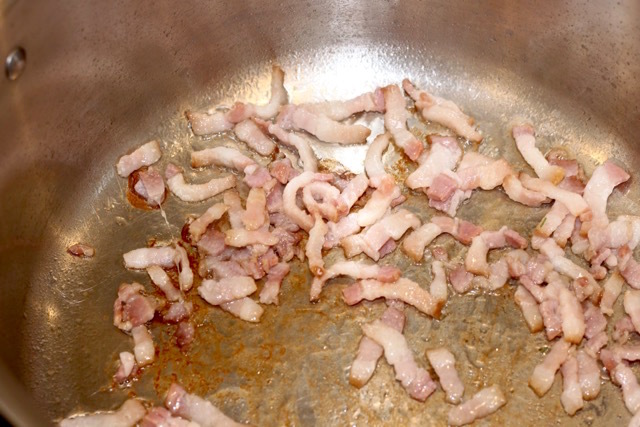 Bacon lardons are made by cutting three or four stacked rashers of bacon into matchstick pieces. This is easiest if the bacon is partially frozen. Brown (caramelize) the cubes thoroughly on each side. You will notice the fond in the bottom of the pot – this is where the flavour lives! Add the beef stock, return the beef cubes to the pot along with the bay leaves and herbs. You have now made your Braising liquid. The meat is cooked slowly using the method of your choice in the recipe. This is what the Braised Beef looks like after it has completed its slow cook and the liquid has reduced – rich and glossy. 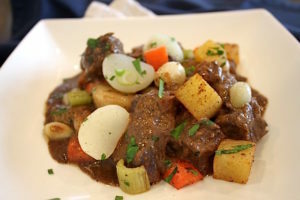 If you give this recipe for Classy Classic Braised Beef Stew a try, please leave me a comment below with your feedback. 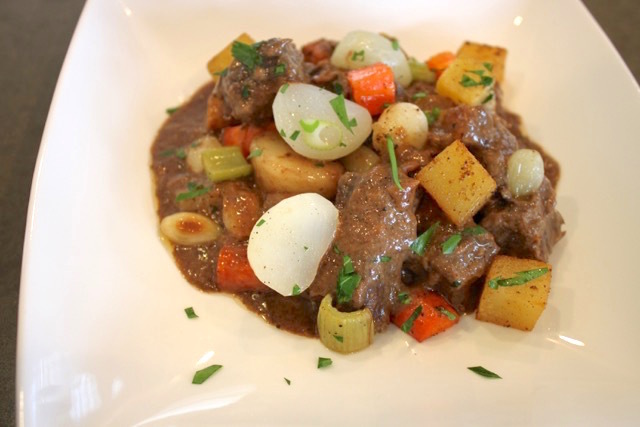 This stew looks like comfort food perfection! ? And I enjoyed the chefs tips, especially the one about pouring yourself a glass of wine. ? Oh yes, Sharon – the wine is important 🙂 Sometimes, I even put it in my food – lol. But, really, why not enjoy the moment? Caramelizing the beef is similar to stirring risotto – it goes so much better while sipping on wine. Thanks so much for your comments. Thanks so very much for your kind comments, Diane. 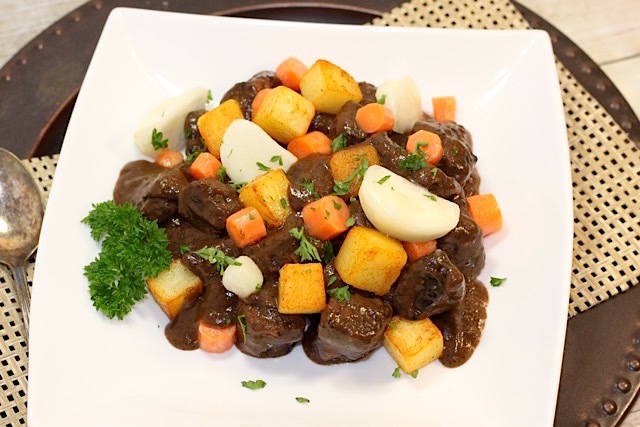 Turnips and parsnips are fabulous together, especially in a braised dish – the sweetness of these vegetables compliments the richness of the stew beautifully. I would be delighted to hear your feedback when you try it. It sure does, Colleen. Wine always makes it better – I may do this when I make your gorgeous Chicken Pot Pies 🙂 Thanks for your comments. Hi, Maria! It is true – the caramelization of the meat is an essential step. It takes a little time to brown all of the sides of the meat but it is so worth the effort in the end. Enjoy the moment 🙂 Thank you for your kind comments – I love sharing step by step tutorials. Denise your stew looks fabulous. I love leaving stews chunky and colorful. When I saw the picture of those beautifully browned meat chunks I started to drool and I have to tell you I am all in for braising. I can just imagine the flavor brought to this stew with all that caramelized goodness. I want to just get some fresh baked rustic bread and scoop up some of that delicious comfort deliciousness. Great job on this one, Denise.